Luxury and exceptional customer service! Due to a booking error we had to change the dates of our stay and they were able to do so without any hassle. This property has everything you would expect from a 5 star hotel, every person you meet is there to take care of any need you might have. This particular condo does not have a great view but is a very comfortable place to stay. Very Good. Our room have nice small kitchen but no eating table and chair. We stayed only 2 days but every staff is very kind and nice to us. The room is also quite clean. So we could spend very comfortable days here and would like to come back again. Very nice hotel and courteous staff. It was great having a fully stocked kitchen and they gave you all the bottled water you needed. The bathroom was clean with plenty of towels, very large tub, and fancy toilet. Maintenance came and fixed the refrig when it had a problem. Only drawback was booking through a third party so we couldn't change room when refrig kept making loud noise. We did get a better price, however, by booking through third party. Hotel was right by Waikiki beach but didn't have the touristy vibe to it as other hotels on the beach did. It seemed very sophisticated and more of a business class hotel. Our room didn't have ocean view but there were plenty of nice places in lobby to sit and enjoy view along with the infinity pool. 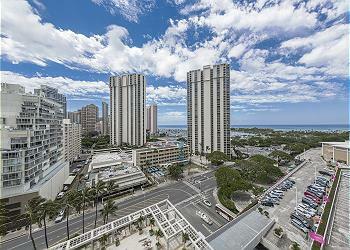 We love Trump Waikiki Hotel with Excellent Services and the location that walkable to Shopping, Restaurants, Beaches. We love to come back again. I loved my room. Although it didn't have an ocean view, I was able to see the food truck court behind the hotel which I wouldn't have seen otherwise. It was the perfect place to eat after a long day of travel. I did have the pleasure of eating the wonderful breakfast buffet at the hotel a couple of mornings. It was very nice and guests get a discount, $30 all in. Although the hotel is not on the water, it is a very short walk to the beach and there is a beautiful view from the pool and patio. I loved my stay and appreciated the complimentary bottled water and pre-packed beach bags. I can't wait to stay here again. Fantastic location, Amazing staff especially Dean the leading doorman. So friendly. Room was lovely so comfortable and the servicing of the rooms were great. Coming from inland country Australia to this was just brilliant. Can't wait to book my next holiday. Thank you very much staying with us! Looking forward to have you as our guest again near future! No Complaints at all. 5 star service! Room was very nice and clean and the hotel was in a great location. The staff was beyond nice and courteous! Really enjoyed our stay. We reserve Gaia just before trip. so the price was very good deal. the room was very good, more than enough. at the next time, we want use Gaia to make best experience. 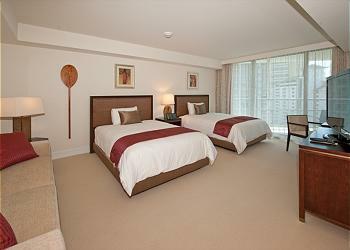 The unit was beautiful and clean, the hotel staff was great and the management of the unit was also very helpful. We requested a late check out our last night and it was no problem since no one was coming in the night before. Trump has five star staff and service. The soaker tub was a huge benefit and the unit was quiet located at the end of the hall. We would definitely go back for out next staycation. Bathroom was huge, room was great, only downside was no balcony. The room was as expected but the view was very poor and looked over a low budget burger and shrimp van site. We could not see the oacean, but service was very good. The room had everything we needed, it was very clean and tidy. The hotel location was idea. Great service. Mixed good hotel service with condo's function. Clean and functional. location is awesome. but do not expect too much, it's a lower class and lower level of Trump International Hotel. Free self made Honolulu coffee was my favorite. and kitchen is also very useful for several days of stay. Sorry about no washing machine at the room I stayed. Pool, Yin and Yo Cafe, BLT Stake House at 1st floor, values to try. Beautiful Place, great location, friendly people, very upscale. Loved it..have been in Waikiki many many times. This was the best experience of all. Every detail was attended to, chilled cucumber water and cold towels at check-in, polite and friendly staff, very clean, great bathroom, fabulous bed and bedding, lovely pool, beach bags to go, etc. 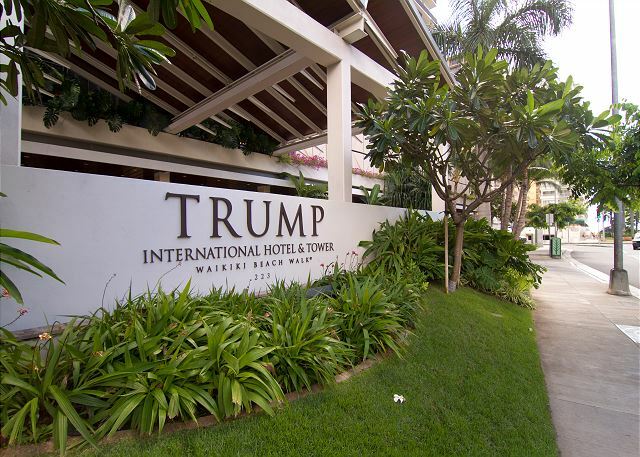 I'm a huge Trump fan, have stayed at many five star+ hotels! but this one was amazing...understated elegance. No crazy beach types running the halls. We hated to leave. The experience leading up to our stay was great. I had requested info on a 1br suite that was available on their website, Keith was super responsive and sent the info right away. Unfortunately someone else was working on the property as well and when I confirmed i wanted to move forward with the rental - Keith said it had already been rented. He then offered me a studio unit for a discounted price. No doubt, it was a good price for any unit at the trump. I called him to confirm that there was a balcony in the unit because there was no shot of one in the pictures he had sent over. He confirmed that the unit did in fact have a balcony, and went further to say that all units had balconies. With that I decided to move forward with the rental. They got the contract over in a timely manner and info regarding checkin as well. Once we arrived at the trump, imagine how disappointed we were to find that the room had no balcony. I emailed Keith to let him know that there was no balcony and that we were disappointed - not expecting a refund or even a room change. Just letting him know that maybe he should do his homework on his rentals before misleading future guests. I got no response. Not even a quick, so sorry for my mistake, I will make note of it. Clearly won't be using Hawaii 5-0 again...and will be sure to let friends and family traveling to Hawaii know to steer clear. 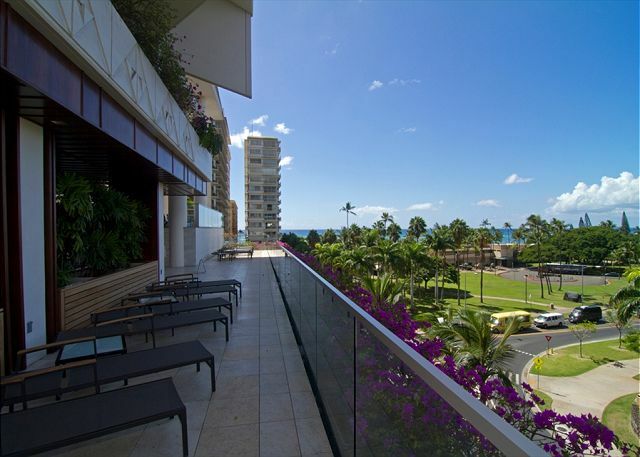 We have stayed at the Moana, Hilton, Marriott and Renew in previous trips to Waikiki. This 'trumps' them all. Despite the lack of a view - and being the 'runt' of the Trump hotel (back - no balcony - no washer/dryer like the rest of the larger suites) this unit fit us perfectly. Every day we'd go the quick jaunt to the beach with our two Trump bags loaded with towels, water, the best spf 50 we've ever seen (we use Skinceuticals - this is wayyy better) little bags of complimentary fruit - and we'd spend the day in the perfect weather outside or under our beach umbrellas ($50 for two for the day) NOT a cheap 2 1/2 week stay - but a WONDERFUL time. No attitude from the front as we had arranged with Hawaii 5-0 - and twice daily room 'clean up'. Best EVER - better than the Trump SOHO in NY, the Ritz in Montreal or Shutters on the Beach in LA. Really lovely - and hopefully we'll be back! we don't have to see agent office view at ? Agent have to put the picture the hotel view. FIVE STARS ALL AROUND!!!! Amazing Stay!! We had an amazing time!!! Great room! 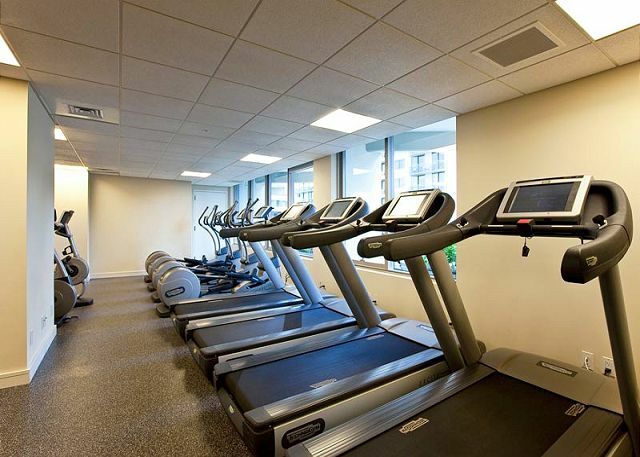 More amenities than anyone needs! Wonderful food options! Room service at any time! 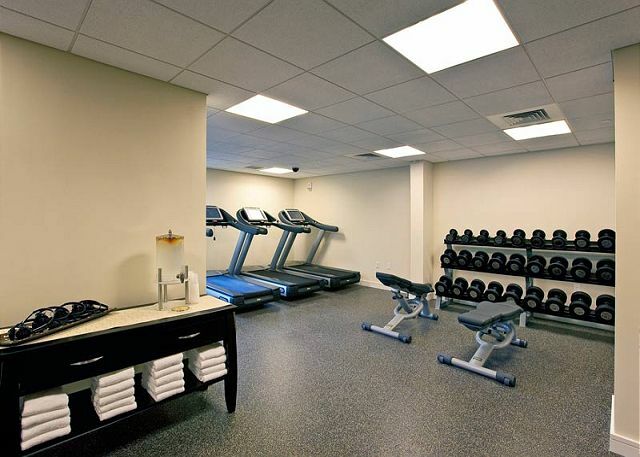 Great work out room! Best massage ever! And to top it off, Trump International has THE BEST service! Rent this room! Hawaii 5-0 was so easy to work with. They are TOP OF THE LINE!!!! Great hotel and great room. Service from Hawaii 5-0 was great and so quick to book. Hotel was in a great location and it's amenities were excellent. I would highly recommend. It was our first time in Hawaii and the hotel made it perfect. The Trump property was absolutely fantastic and very detailed oriented. From the arrival process where a concierge personally escorts you to check in to the cucumber water and freezing cold lemongrass scented towel provided to wipe away travel stress it couldn't get any better. The valets are super friendly and have great suggestions for day trips that are off the beaten path which they willingly share. And the beach bags they supply are great -- you literally don't have to pack anything for a day on the beach. 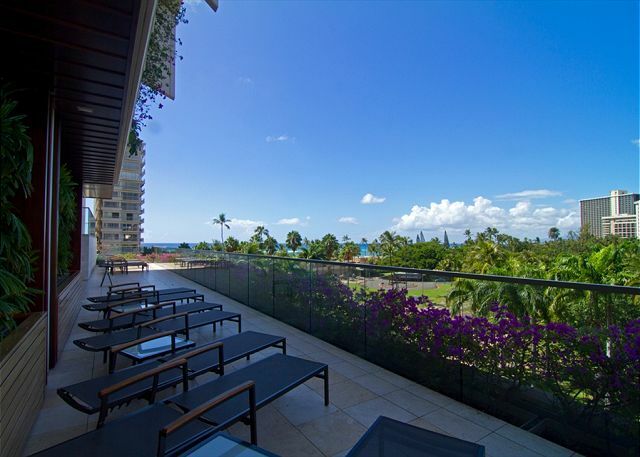 I would stay at the Trump in a heartbeat -- and Hawaii 5-0 rentals was reliable, friendly and easy to work with. This is my second time staying at the trump tower. I loved it so much the first time I couldn't wait to come back again. However, I had the pleasure of finding Hawaii rental 5-0 to help me with the whole process this time, and most importantly a better deal. I was helped by Lais when contacting the rental agency, she was on to top of everything and very helpful. I stayed in Room 901 of Trump International and would recommend this room and hotel to everyone. 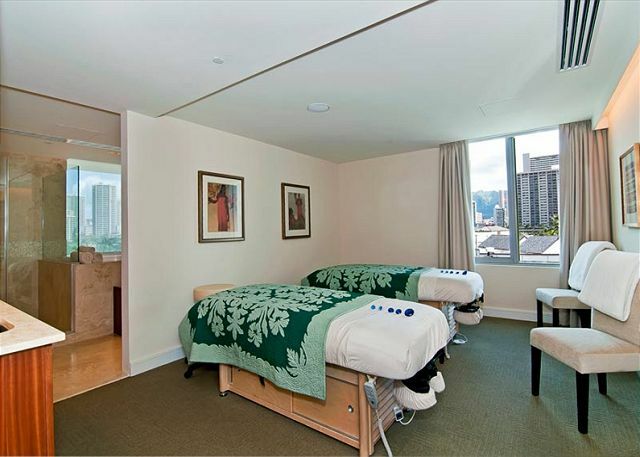 The room is larger than most rooms I've stayed in, in other hotels in Waikiki and it is very comfortable. Having a kitchen included is a great feature as is the large, marble bathroom with a good size bath and two sinks. The room looks out towards the city, so the view is nothing special but it's quite pretty at night, when everything is lit up. The hotel isn't beachfront but the pool is great although it's not huge and there isn't any shade from the afternoon sun. The staff at Trump really add to the appeal of this hotel, especially the concierge service. It was a very easy booking process and everything ran so smoothly from my initial enquiry through payment and check-in. 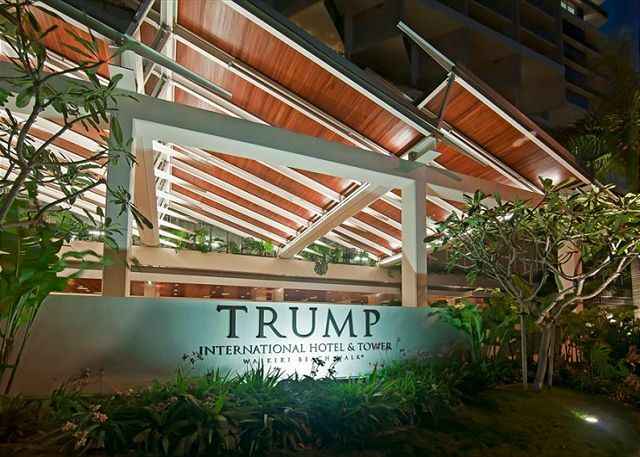 Trump Waikiki was a great place to stay. The staff were wonderful and very helpful. The location for us was perfect and just a few minutes walk to the beach. The only complaint would be the pool which was too narrow for two swimmers. We also enjoyed the restaurants at Trump. Thoroughly enjoyed our stay. The New Year's Eve trinkets were a wonderful surprise. The staff were very friendly, extremely polite & very helpful. I come to Hawaii every 3 months for business and it's always been a great experience. If you don't mind the $$$, then you're fine. The staff is always helpful and nice. There's no self parking and so it's always valet. It's pretty pricey but it is what it is. Cleanliness is empeccable! Bed is comfy and for the most part, quiet rooms. Overall, this hotel is well recommended for business people and for everyone else. If there's one thing that I'd like to add is a better size swimming pool. This is by far the best place we have stayed in, on every scale ... comfort, cleanliness, staff and location. I would definitely rent this property again. Hawaii 5-0 vacations provided exactly what was promised. Can't wait to go back. No complaints here. Sheryll was very helpful. She sent me a link of the room which was spot on. Replied to all my questions promptly about the room and location. The room was spotless. The hotel staff were very friendly and helpful at all times. The location was great, close to beach , shopping and restaurants. Would have loved an ocean view and balcony otherwise fantastic. Can't wait to come back. Will stay at Trump hotel again. This property was professionally managed and very well maintained. The kitchen is very well equipped. Because the unit is on a low floor (6th floor is the lobby), the view is more like a city/parking-lot view than a mountain view. Also, the mattress was much too soft for me. Aside from these, my stay here was very comfortable and smooth. Can't ask for anything more! Best experience so far! 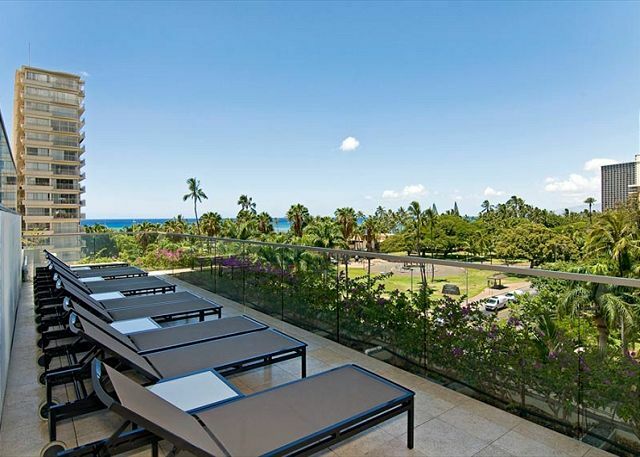 We had a last minute booking and Hawaii 50 have us a great rate, made our reservations easy and smooth. Really great stay. 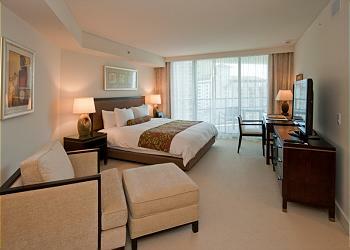 The hotel facilities and rooms are fantastic and luxurious. Service is attentive and friendly. 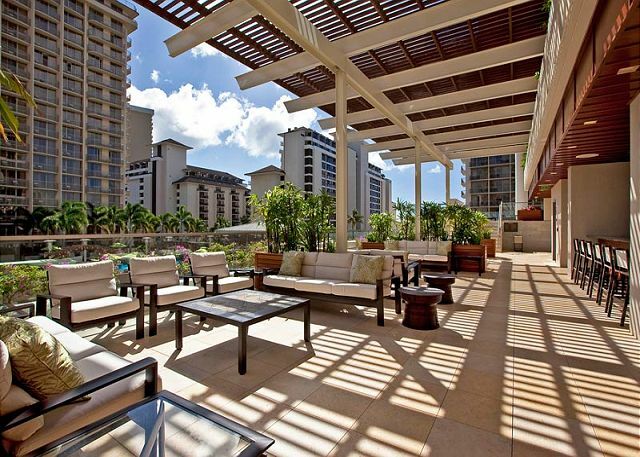 The Trump Waikiki was fabulous, the staff were amazing and we would highly recommend this property! Lais from Hawaii 5-0 was wonderful too. The only reason i wouldn't tell my friends is that i might not get to rent next year as it would be full of my friend. This is an amazing stay; from great beds to great service all around - paradise! Thank you. Hawaii 5-0 was very efficient and helpful even Presidents Day Weekend. The Trump service is outstanding. I had to change rooms and they called me,coordinated the move while I was out and I came back to my new room and all was transfered. 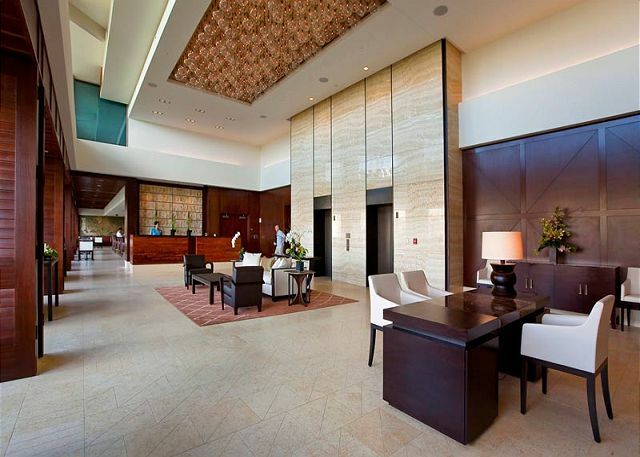 The lobby is peaceful, unlike most Waikiki hotels, and the staff is so professional and friendly. 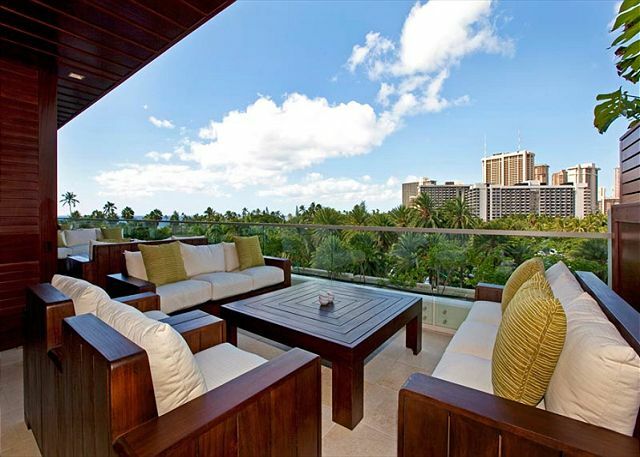 Will use Hawaii 5-0 again and will stay at the Trump again. 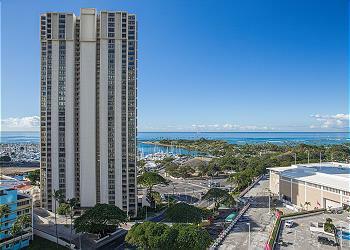 The hotel is located closed to Waikiki's shopping district. Many good restaurants can be found closed by as well. The hotel staff are friendly, helpful and professional, exactly what you need for a carefree vacation. The room we stayed also accommodate with a kitchenette. So people can have the freedom to choose to have a simple homecook meal from the hotel. 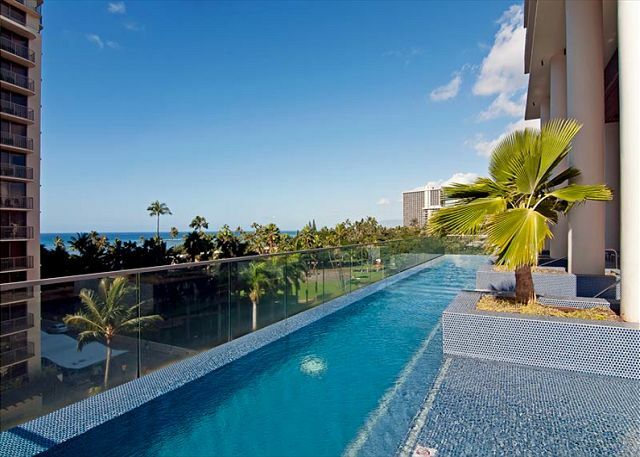 The stay at the Trump Waikiki was comfortable. The only drawbacks were the lack of a decent swimming pool and laundry facilities. The latter not available in the apartment that we were in. Sheryll from the managing office deserves mentioning as her service in arranging our stay, was exceptional. 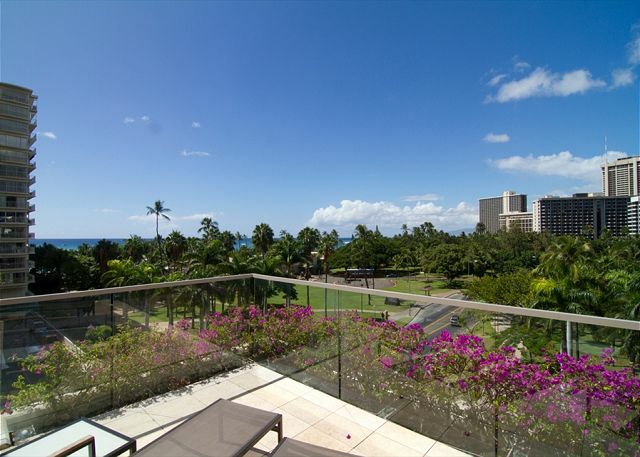 Great place to stay in Waikiki! We enjoyed our stay at our Trump unit and we definitely will recommend you to our friends and family. The BLT Restaurant was a 4 star dining experience and the staff was great. Great hotel! Will definitely come back again! Excellent service. Very clean hotel. Full kitchen. The room is not "huge", but it has everything you ever need and more. There're many good reasons that Trump is a 5star hotel. Brilliant hotel. 8 min walk to Waikiki central, but less crowded and makes for a nice stroll. My stay at the Trump condo was fantastic. 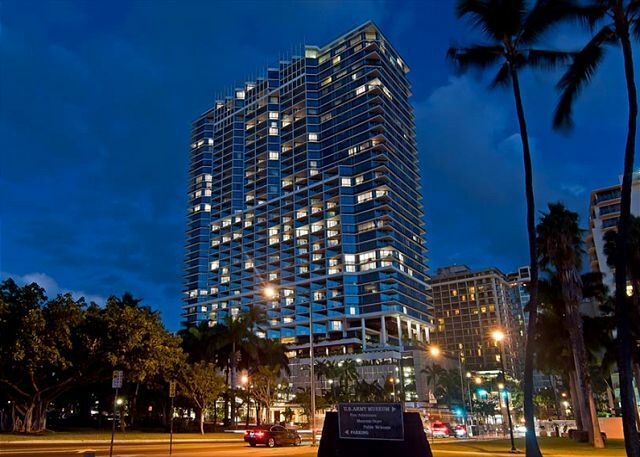 The hotel is beautiful and the location is perfect, as you're in Waikiki but not in the heart of it, so the traffic is not an issue. The hotel staff is very friendly and professional. The room was spotless and inviting. I found absolutely nothing wrong with it and would definitely return. 50 vacations offered at great price for our stay at the trump. reservations was seamless and the hotel staff was excellent!